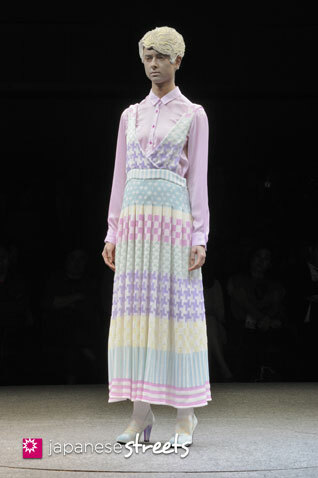 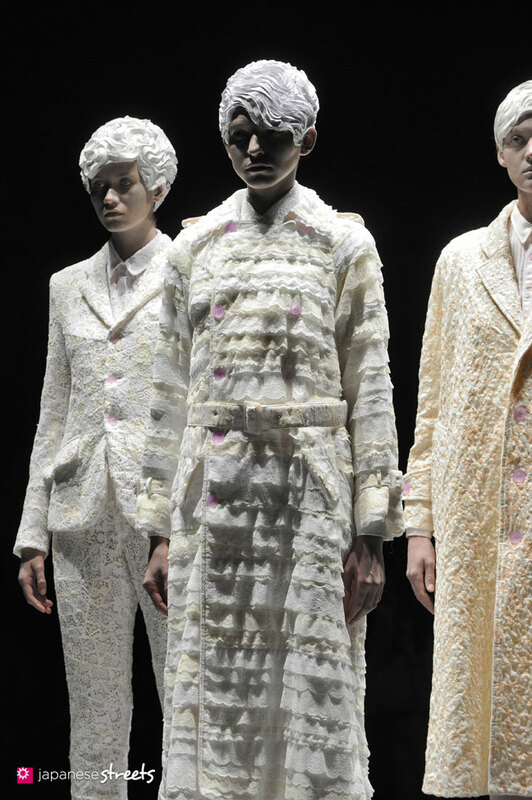 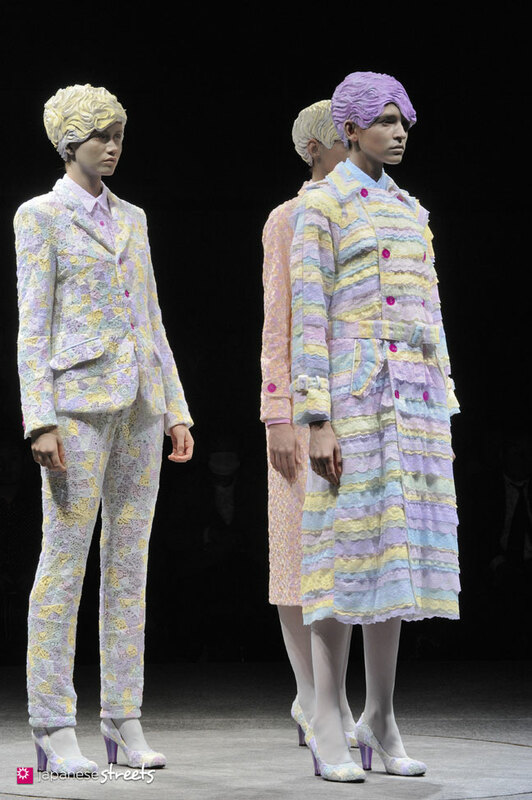 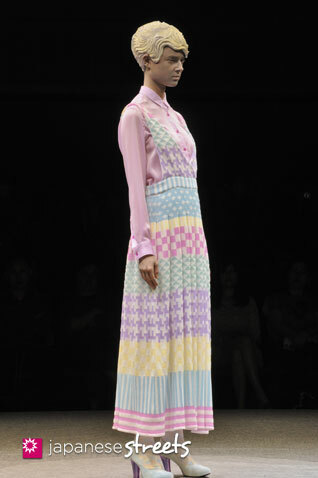 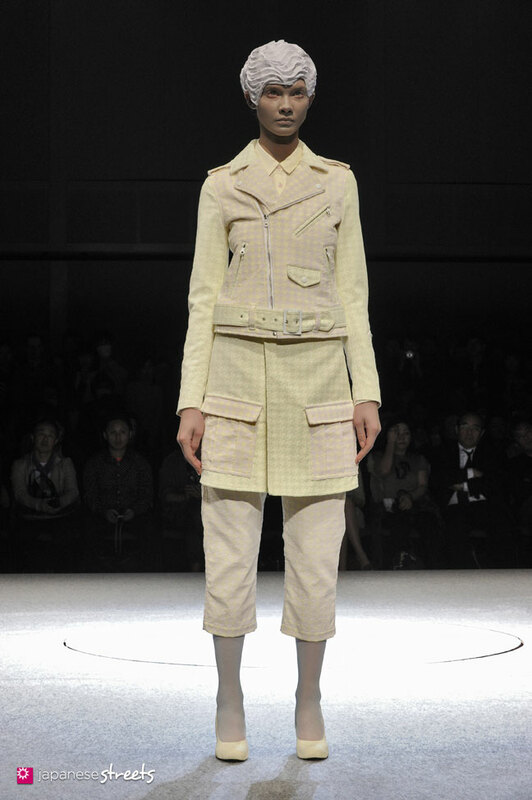 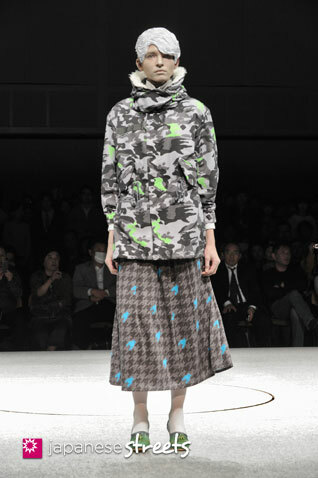 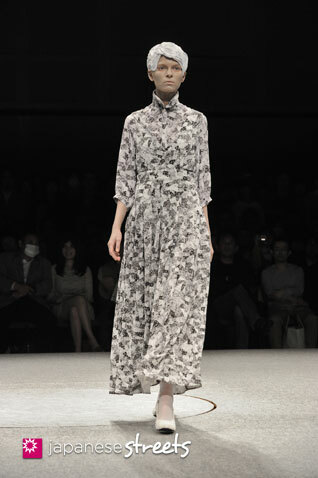 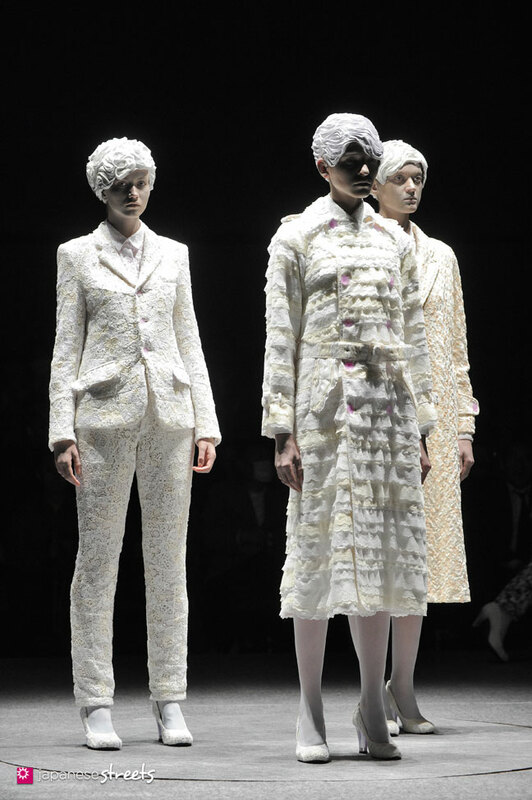 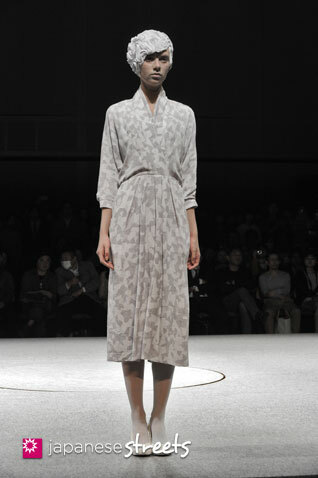 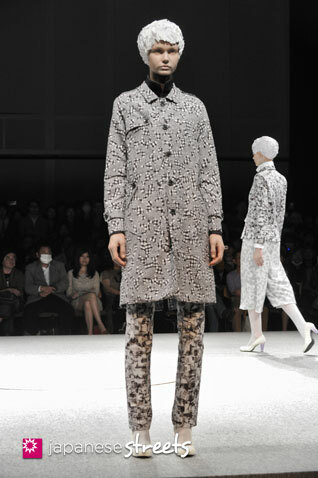 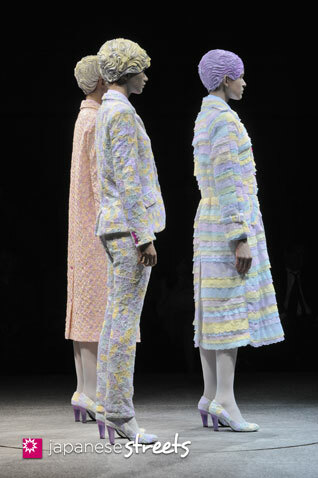 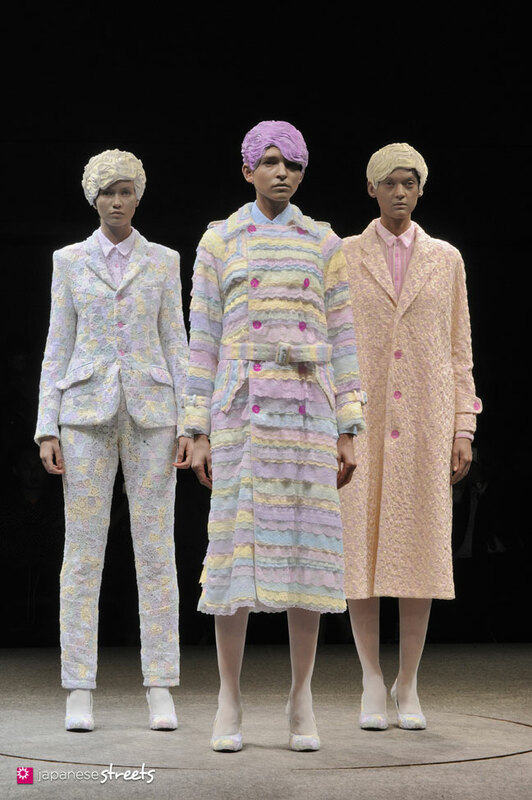 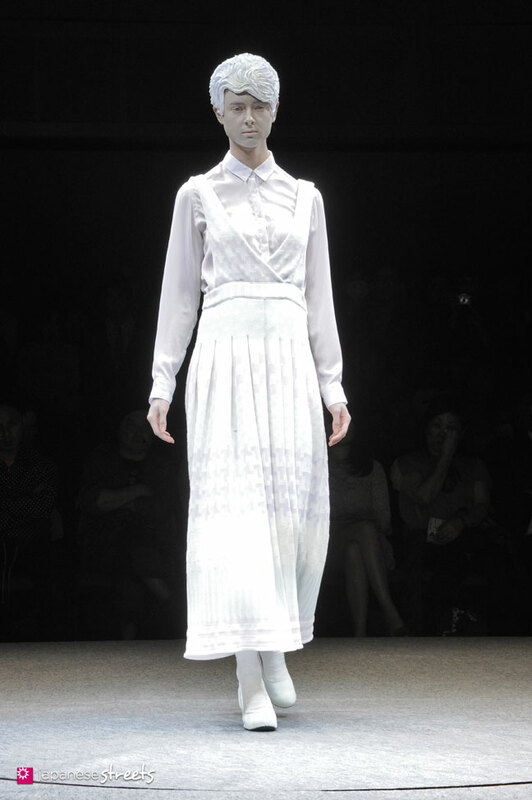 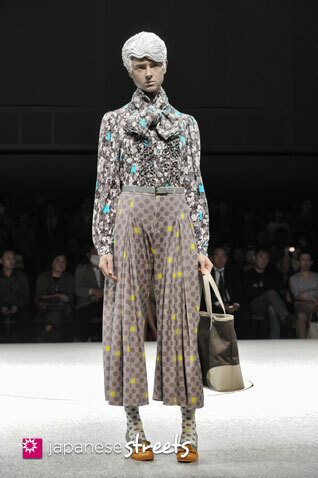 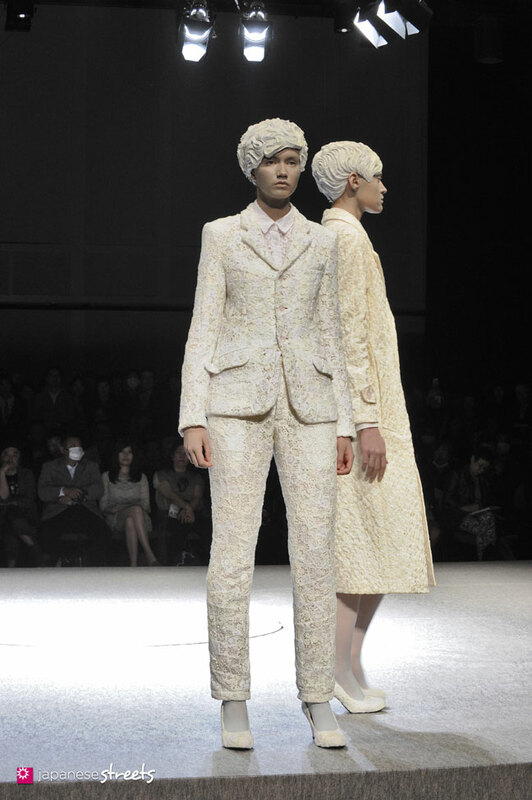 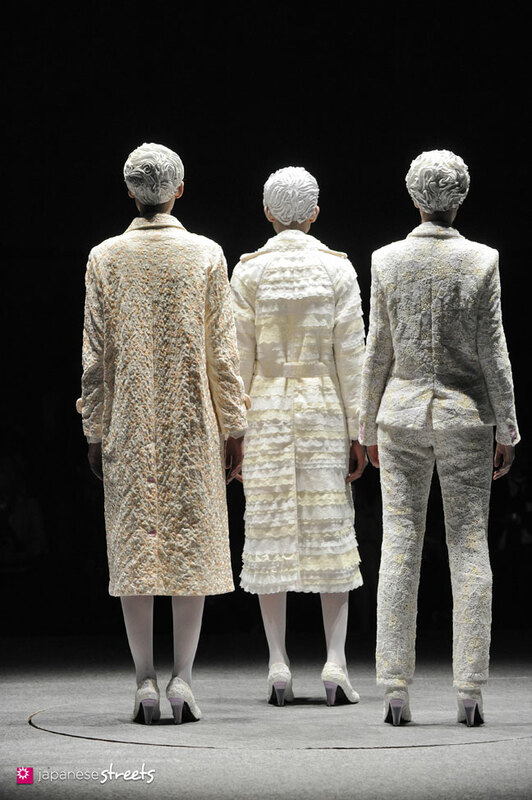 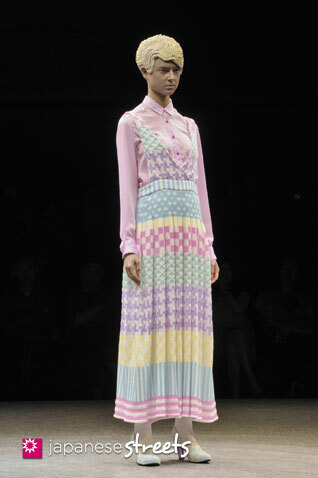 Autumn/Winter 2013 Collection of Japanese fashion brand anrealage on March 19, 2013, in Tokyo. 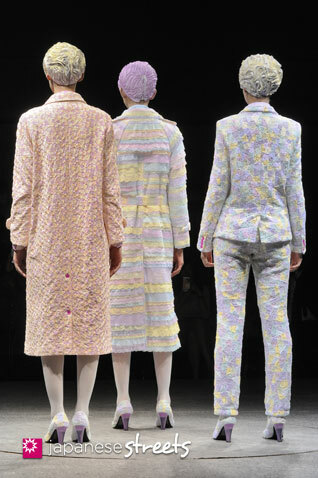 anrealage showed something I have never seen before. 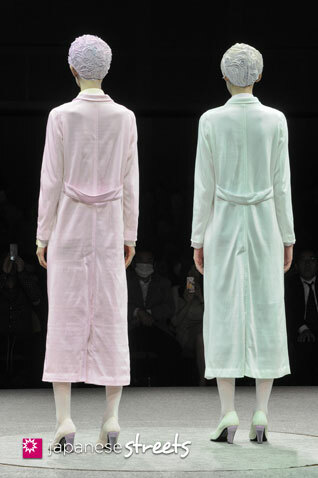 The clothes of the models changed colors right before the eyes of the public. 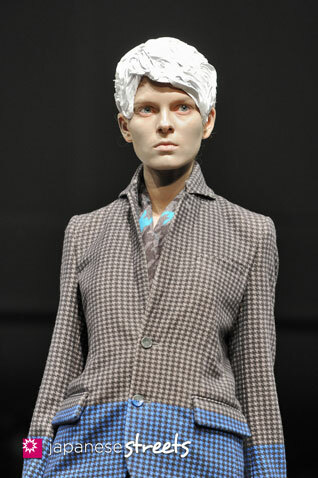 and there was no wiring visible in the clothes. 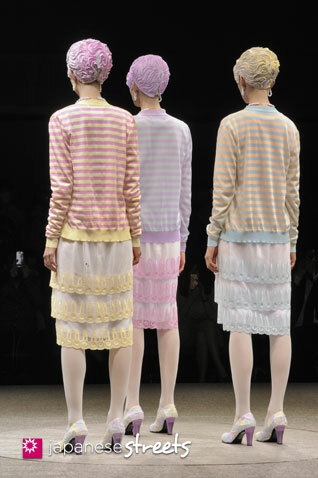 i love this!!!!! 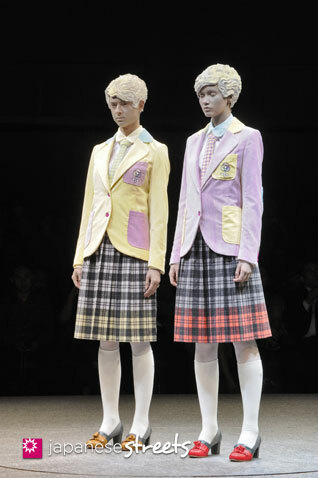 this is highly-concentrated japanese society seen of a critical and ironical point of view: being housewives and kitsch! 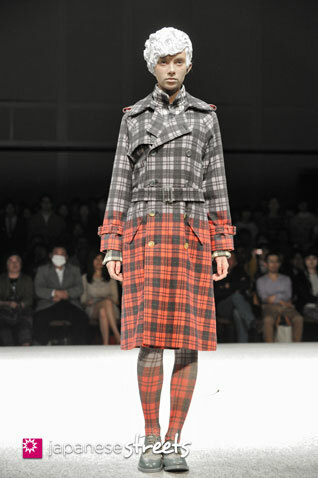 great!!! 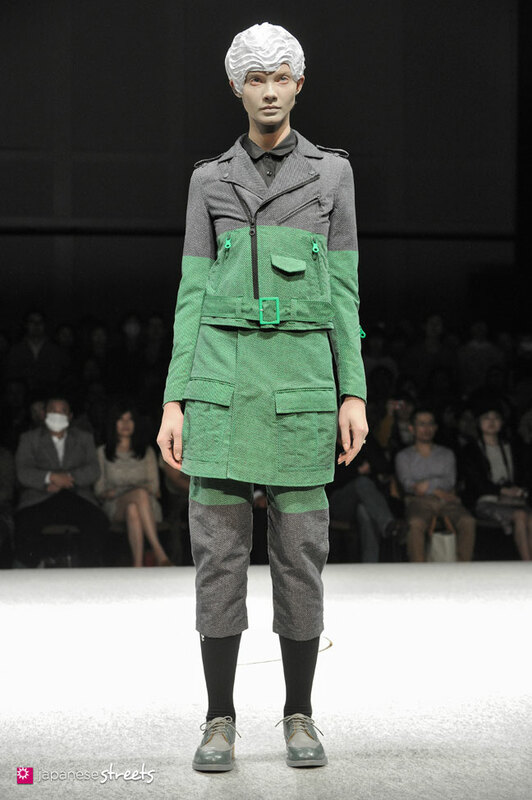 I am really curious about this collection. 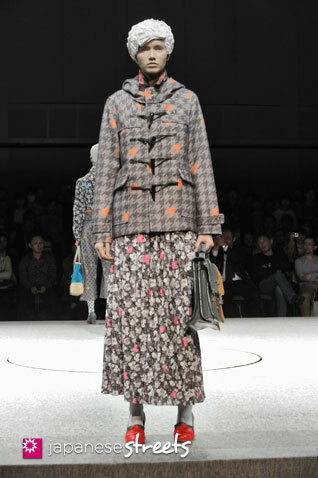 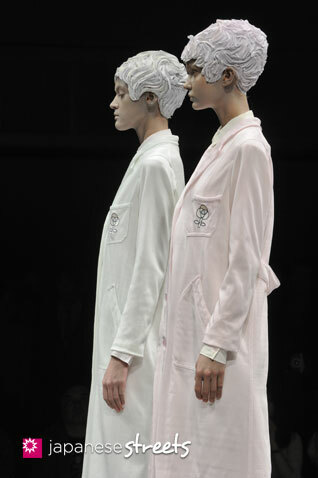 The hairstyling looks just like Junya Watanabe’s FW2012. 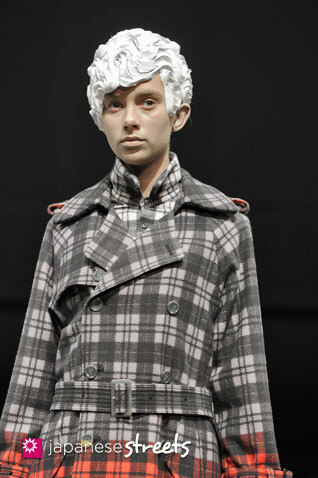 @María: Yes, it does indeed! 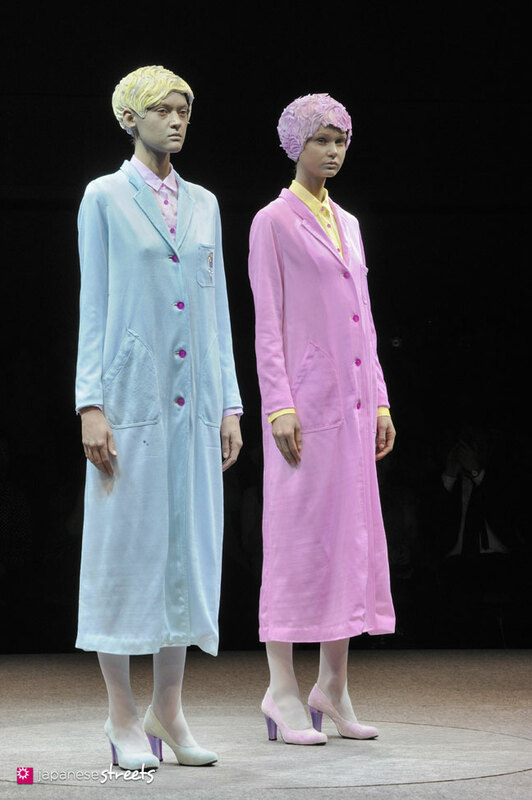 Wonder if there’s a connection there.